Schiphol Amsterdam Airport is trialing a scheme where passengers can have food delivered to them at their gate. 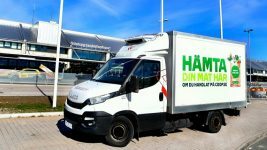 The airport is working with HMSHost International and food delivery company Deliveroo on the trial at Pier E.
In the trial, passengers can order food and drinks via their mobile phones. Schiphol says the delivery will be within 15 minutes. They can order anything from pizzas, hamburgers, salads and sushi and more. Passengers can order meals via the Deliveroo app or website. Orders are delivered by scooter to the gate for a fee of €2.50. The parties have set up the ‘Food Delivery at the Gate’ pilot to test whether there is interest in this new service. If the pilot is successful, it will be extended to Pier D in March. Pier E is a dedicated non-Schengen area and is typically home to SkyTeam hub airlines Delta Air Lines and KLM, along with other members, such as China Airlines and China Southern Airlines. The service is available every day between 07:00 and 20:30. The initial trial period will run through the end of March. This will be followed by an evaluation. 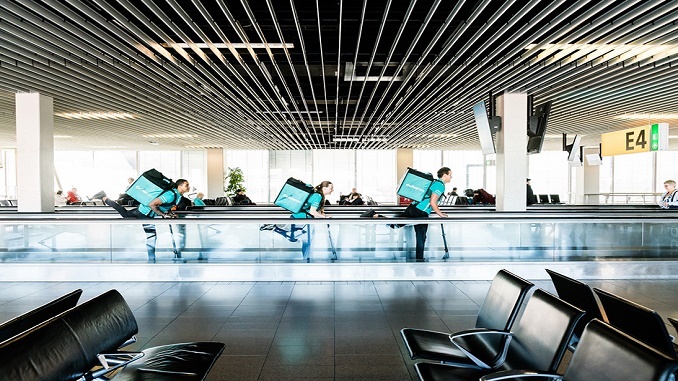 Schiphol is the first airport in Europe to experiment with delivery to individual passengers. 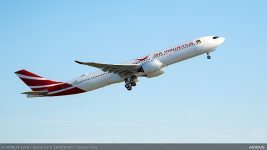 There are at least three areas of concern: the scooters weaving between passengers, the possible smell at the gate and the possible smell on the aircraft. Will passengers and airlines be happy about this? We’ll see. 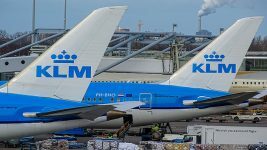 “Schiphol is always looking for ways to best serve its passengers. This is an extra service that we would like to offer them. Passengers spend a relatively large amount of time at their gate. In addition to the extra service for passengers, there’s also a practical side to this initiative. For years Schiphol has been welcoming more and more passengers. Last year over 68 million people from hundreds of countries came through the airport. The fact is that space for additional retail and catering outlets in the terminal and the piers is limited. That’s why we come up with innovative concepts like this and keep a close eye on trends in technological and digital developments.